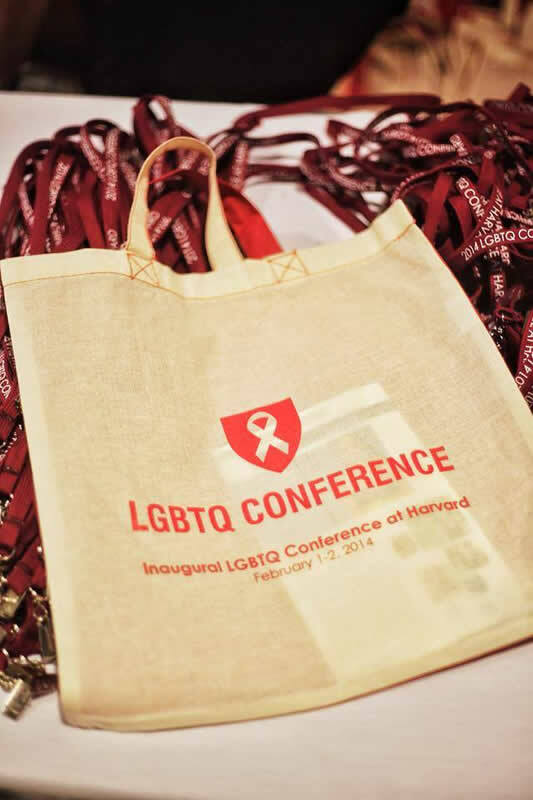 A week ago, we launched the first-ever pan-Harvard LGBTQ Conference! 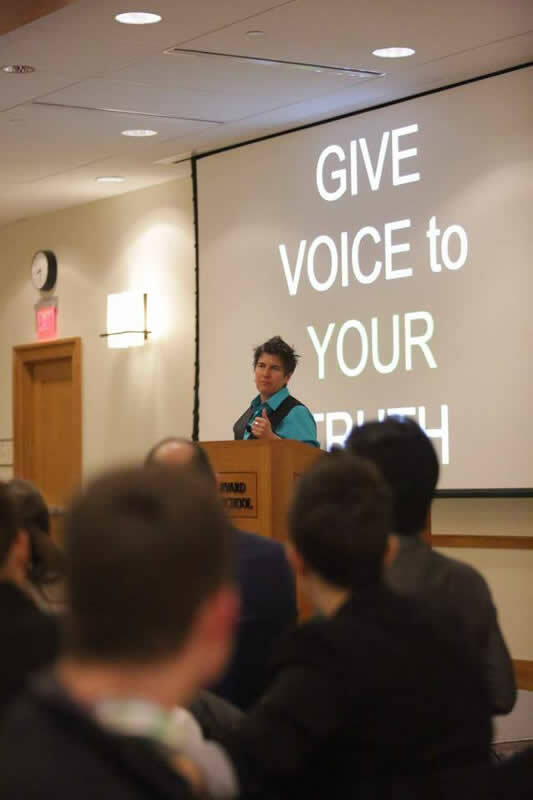 Organized by 30+ students from various LGBTQ groups across campus, this inaugural two-day conference brought together over 450 students, scholars, alumni, practitioners, and special guests to learn, share and ideate around critical issues facing the LGBTQ community. Saturday, the opening day of the conference, was held at the Harvard Law School and featured a full day of speakers on topics ranging from transgender employment rights to Russia’s treatment of its LGBTQ population. We also held an authentic leadership workshop facilitated by the Harvard Graduate School Leadership Institute, as well as an optional queer yoga session. Saturday’s programming culminated with a fundraising dinner benefiting BAGLY and HBGC, and featured keynote speeches from Ash Beckham, and Brian Rolfes (Head of Global Recruiting at McKinsey & Co as well as Head of Gays and Lesbians at McKinsey). Following the dinner, MIA’s drummer, Kiran Gandhi , and her band performed some tunes, and then we celebrated a successful first day of the conference in downtown Boston with The Welcoming Committee. Sunday activities were held at the Harvard Business School and at the Batten Hall Hives. The morning featured a series of conversations on topics including being LGBTQ in the military and being a queer athlete. We also had speakers talk about their experiences in areas such as entrepreneurship, health, policy, and law. Over lunch, Kenji Yoshino and Christie Smith presented their ground-breaking research on “covering” in the workplace. 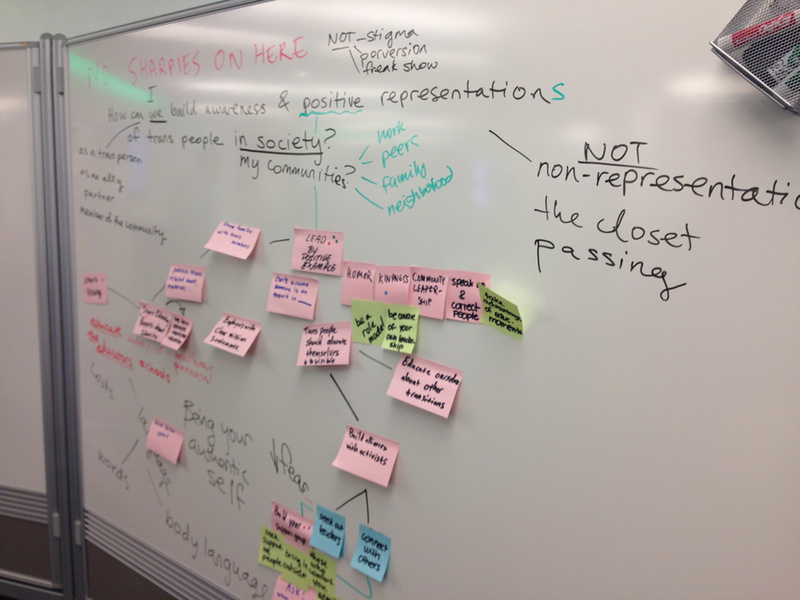 We then moved to the Hives for a highly interactive ideation session led by Altitude Inc. around some of the most hard-pressing issues facing the LGBTQ community including bullying, homelessness, and transgender inclusion, among others. We are especially thankful to have been given the opportunity to be the first student conference to use the Hives! The conference ended with an interview with Ken Mehlman, and inspiring words from Professor Frances Frei. If you’re interested in getting a sense of what the conference was like, check out the live Twitter-feed from the weekend here . You can also check out these news articles for more info on how the conference came to be, and participants’ reactions. We are deeply thankful to everyone who made this inaugural conference possible: the 450+ participants who joined us from all around the world, the many sponsors who believed and shared in our vision, our incredibly inspiring speakers and panelists, the team from Altitude Inc. who designed and led our ideation sessions, and the wonderful events staff who made sure everything went smoothly. Given the phenomenal feedback we’ve received on the conference, we are already working on turning inaugural into annual. If you’re interested in helping to plan the 2015 Conference, let us know!